6. Container goods fastening work. 8. Help you export the 《Goods》. Geelong machinery exported one automatic heavy duty 9ft veneer debarking and peeling line to Indonesia clients, if you are needing our machines, welcome to contact with us. 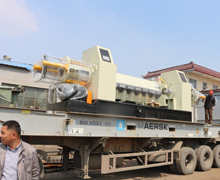 Geelong machinery exported one veneer paving line and one double side veneer edge grinding machine to our clients in Viet nam, if you need this machine, welcome to contact with us. Geelong machinery loaded one 5feet veneer peeling machine to geelong clients in Russia, this machine is used to do the peeling work on birch wood log, this machine can be used to peel birch core veneers, if you need this machine, welcome to contact with us also. Geelong machinery exported one automatic plywood saw cutting machine, and one 5x5feet plywood hot press machine, and board lifter machine to our clients in Russia, welcome to inquiry our machines. Geelong machinery loaded one 40HQ container, including knife grinder machine, veneer clipper machine, veneer factory consuming materials, like veneer machine spare parts, veneer glue tape....etc, welcome to inquiry our veneer machines. Geelong machinery today loaded one 40HQ container 5feet veneer peeling line to Indonesia, welcome to inquiry our machines. 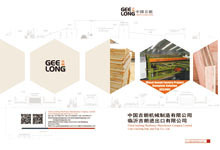 Geelong machinery exported one container plywood making machines exported to Indonesia, including the plywood sanding machine, veneer sewing machine...etc. Geelong machinery exported one 40HQ plywood making machine to Brazil, including the hot press type veneer dryer machine, glue spreader machine, and 8feet wood log debarker machine to our clients, welcome to inquiry. Geelong machinery exported one complete particle board line to Africa, totally we loaded 23 containers within one week, if u want this line, welcome to inquiry us. Geelong machinery exported one 40HQ woodworking machine, lonking forklifter machine, knife and tools to our old client, they entrust china only geelong can do good works for them. Geelong machine exported one complete 8feet spindle peeling line to Myanmar, geelong machinery must provide good quality machine and good service to our client, welcome to contact with us in this line. 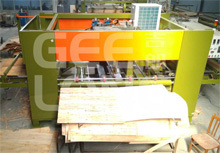 Geelong machinery exported one complete plywood production line, including the drum chipper machine to Africa, including the plywood hot press machine, plywood sanding machine, drum chipper machine, forklifter machine, boiler machine, and some other plywood machine factory consuming materials..etc. 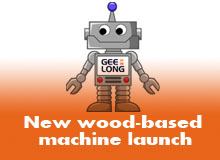 Geelong machinery new established one plywood board making factory in Vietnam, all machines from this factory is supplied by Geelong company, including the veneer dryer, glue mixer, glue spreader, veneer paving line, plywood cold press machine, plywood hot press machine. Geelong machinery export new osb production line to our client, and geelong machinery give u complete solution of osb line, if u want more information, please contact with us. 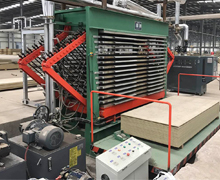 Geelong machinery new made 25 layers plywood hot press machine, manufactured in our factory, and start to assembly this hot press, after quality confirmation, then export to our client. Geelong machinery new established plywood board manufacturing plant for our clients, all machines of this plywood plant is from us, welcome to inquiry our machines. Geelong machinery loaded two container plywood machine exported to India, including 4ft veneer composer machine, sanding machine, panel saw, 3 layers hot press machine, welcome to inquiry more wood machines. Geelong machinery new designed and produced automatic spindle peeling line with vacuum stacker machine, the peeling thickness can be 0.2-3.0mm, if you are interested in this line, please feel free to contact with us. Select Geelong, reach success! China geelong machinery new designed and produced 10 layers open and 10 layers same time close veneer hot press type dryer machine, including the transverse model and longitudinal model, with high drying efficiency, welcome to inquiry our veneer dryer machine, Select Geelong, finalize good performance. China Geelong Machinery Manufacture company limited is producing and exporting NEW DESIGN PP film faced plywood board production line, now we promote our latest model- Eighth generation, this PP film construction plywood board can use for constructions for more than 30 times, also the production cost is lower than the black film faced plywood board, if u interested in our machine, please feel free to let me know. 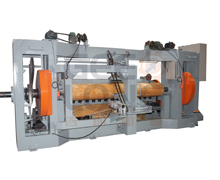 CHINA (LINYI) Geelong Machinery Co., Ltd. is producing Horizontal and Vertical spindle peeling machine for big diameter wood lod, this model can peel 900mm wood log, as for vertical model spindle peeler can peel Max.diameter of wood log: 1500mm, if you are interested in our spindle peeler machine, please feel free to let me know. 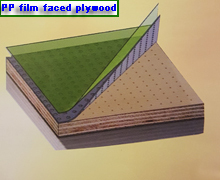 CHINA (LINYI) Geelong Machinery Co., Ltd. is producing and exporting the thick veneer peeling machine, the peeling core veneer thickness range: 1-15mm, now this thick core veneer is used to make plywood board, having advantages as below, less formaldehyde, veneer paving efficiency will be more higher, if u are interested in this machine, please feel free to let me know, then i will send u more information about this machine. CHINA(LINYI) Geelong Machinery Co., Ltd. is producing and exporting core veneer breathing hot press dryer machine, and this machine can dry 1CBM per hour for core veneer based on core veneer mositure percent 40%, drying goal 10%, if u are needing our machine, please feel free to contact with me. China (LINYI) Geelong Machinery Co., Ltd. has new designed and produced full automatic servo veneer composer machine, also can compose the veneer strips(width:150mm), this good model, can save more labor cost in plywood veneer forming, also can increase the quality of composed veneers, finally produce exvellent quality plywood boards. 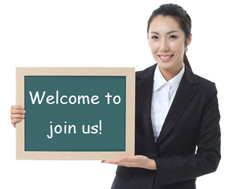 CHINA GEELONG MACHINERY MANUFACTURE COMPANY LIMITED. Add:Yitang Town, Lanshan District, Linyi City, Shandong Province, China. Any inquiries, please feel free to send me email, i will send u the quotation and answers ASAP.